The word liturgy means work of the people. Every person has an important role in our worship. For those participating in specific functions during the service, training and instruction is provided. How is God calling you to share with us in one of these areas? 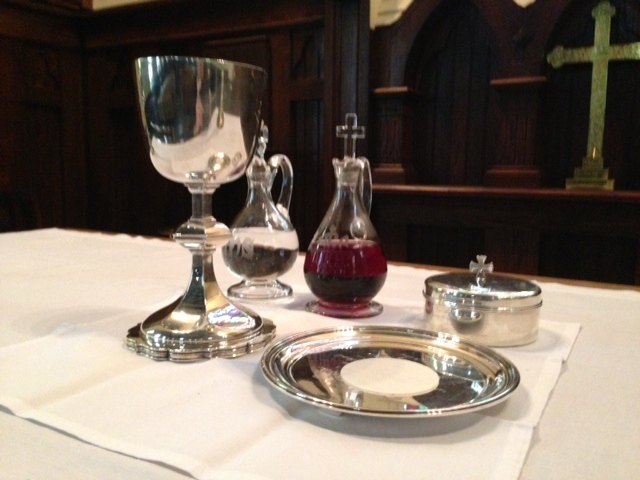 Members care for altar, linens, and vessels used during worship services. The Altar Guild works behind the scenes by setting up the altar area for all our weekly and special services ahead of time and cleaning up when the service is over. 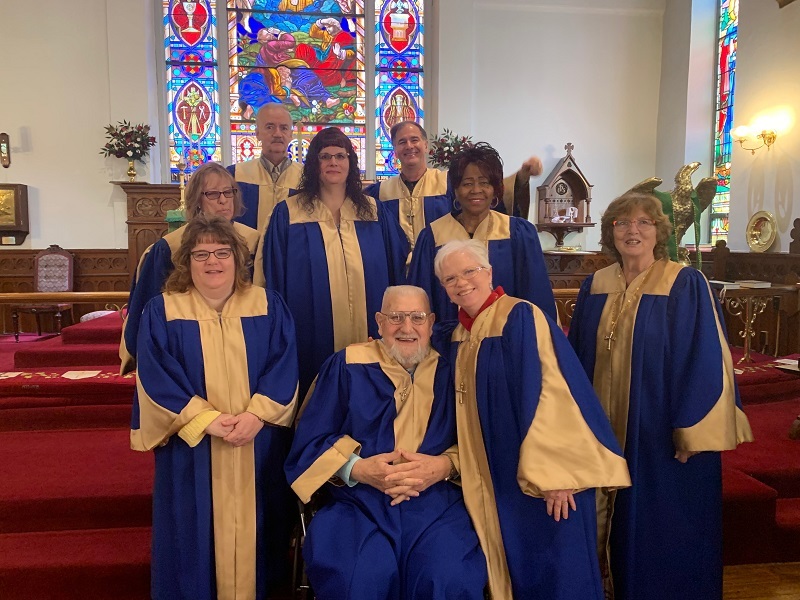 Members lead the congregation in music and verbal responses during our 10AM and special services and provides music during the offering. Members of the congregation also have an important role in worship, which is to actively participate in the service. 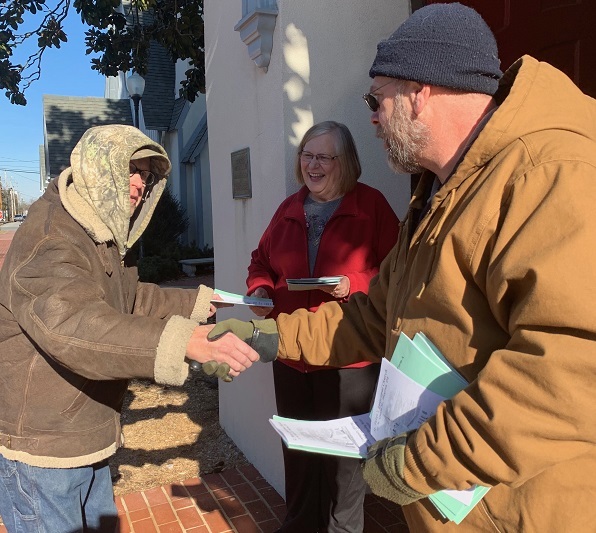 This means following along in our service booklet saying the responses, singing the hymns, if possible, paying attention to the message in the verses, and listening to the lessons. The hymns are selected based on the message in the lessons or church season, so the message in the hymn verses is part of the experience. All baptized Christians are invited, by Christ, to come to the banquet feast of the Eucharist, a preview of coming attractions. 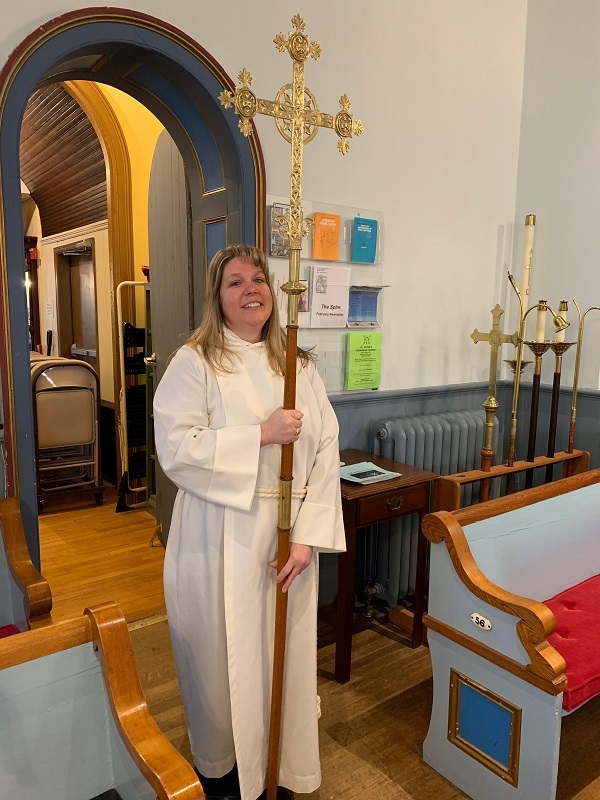 Carries the cross in procession, lights and extinguishes the candles, holds the Gospel book, and assists the celebrant during the 10AM and special services. 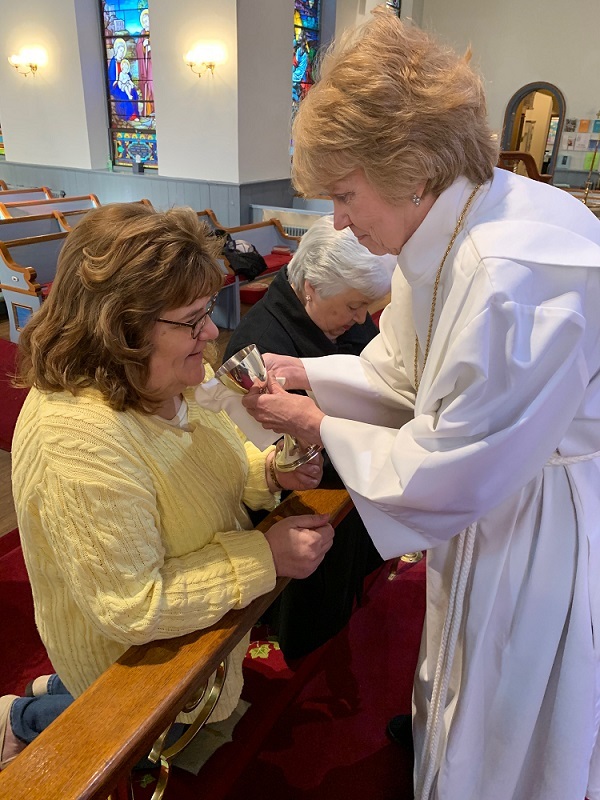 Licensed by the Episcopal Church in Delaware to assist in the distribution of the Cup during communion services. Also may read the lessons or prayers of the people. Welcome people as they arrive for services and help first time guests be seated and comfortable. 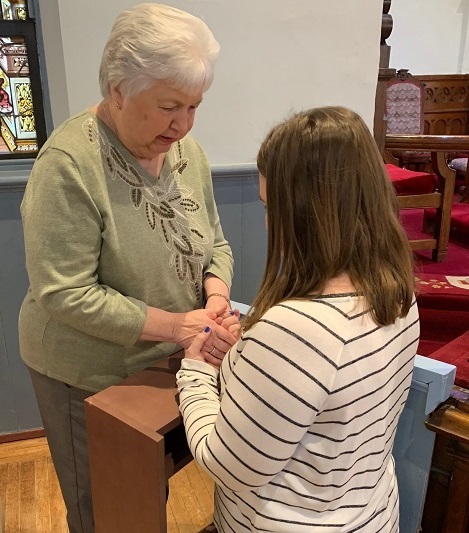 Pray with interested parishioners during the time when communion is being distributed. Currently this ministry is done at the 8AM service; however, we would love to expand it to the 10AM service. 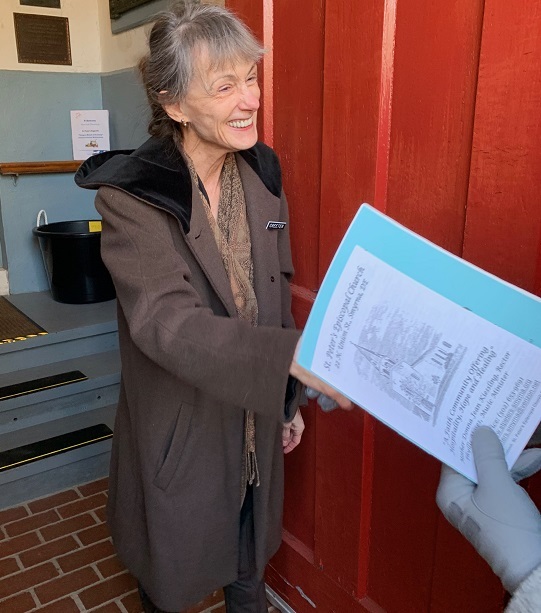 Hand service booklets and bulletins to people as they enter the church; assist with the offering and presentation of the people’s gifts to God; assist the congregation in coming forward for communion; and pick up items left in the pews after the service.